The concept for this project was developed from the client's interest in clean lines and uncluttered design. SiteCreative developed a plan to knit a clean contemporary landscape vocabulary with this traditional house style. 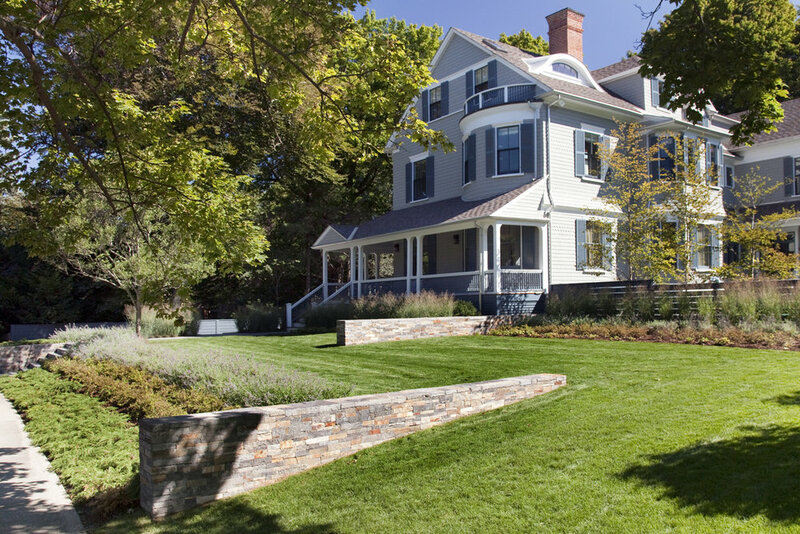 A series of staggered stone walls extend from the house foundation, and a grove of trees define the property's edge. 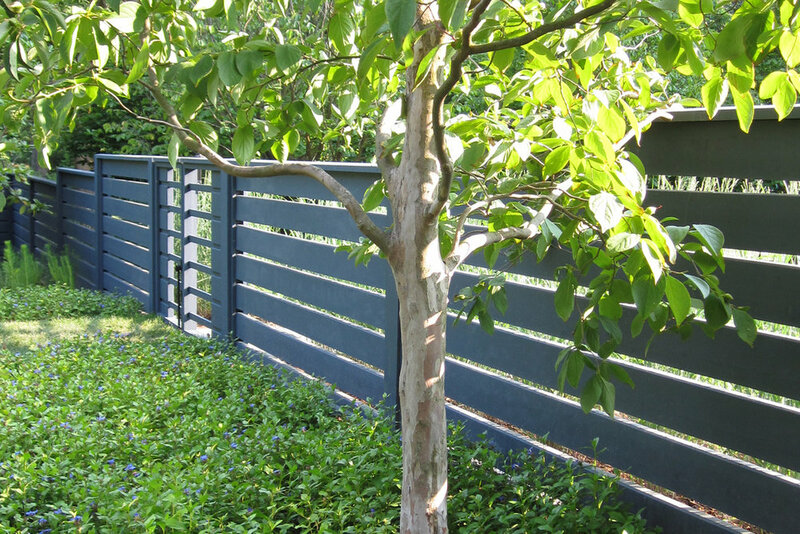 Custom fencing separates public space from private, and is layered with grasses for visual interest. Wood and stainless steel trellises and metal-clad walls define a private seating area at the back of the property. A water scupper is sliced into the wall, pouring water into a runnel that defines a casual seating area. Bluestone pavers of varying widths give a modern twist to this traditional paving material. This project is LEED for Homes certified from the United States Green Building Council.